I didn’t know what to expect when I entered the Alhadeff Studio behind the Cornish Theatre for Industry Night of The Intiman Theatre’s production of Bootycandy. There is not a bad seat in the intimate black box space, the small cast has names I already know and am impressed with, and coming off of how good the last show was that I saw at the Intiman (Orpheus Descending, and it was glorious! ), I had high hopes for a good night of theatre. And, oh, was I right! Bootycandy follows a cast of characters, held together by the journey of Sutter, played by the ridiculously talented Tyler Trerise, as they shift back and forth through a conglomeration of multi-faceted, multi-dimensional scenes, one more scintillating than the next. This ensemble, these brilliant masters of the stage, these actors brought to life so many amazingly real, complex, and honest characters, navigating real, complex and honest moments, that my actor’s heart was so full by the end, I jumped to my feet and cheered for their success! I laughed, I cried, I laughed so hard I cried, I was shocked, and I was awed, and as the show goes on, so does the brave choices of this phenomenal ensemble. You must go see this show. In addition to Mr. Trerise, the rest of the ensemble play so many characters, there are too many to list in the program. Cited in the program as simply Actor One, Actor Two, Actor Three, Actor Four, Angel Brice, Rebecca M. Davis, Chris Ensweiler, and Isaiah Johnson friggin blew my mind with every new character they brought to life. I don’t want to go into detail, because I don’t want to ruin even one moment of discovery for any of you who have the privilege of seeing this amazing show! I will just congratulate all the artists bringing this story to life for their honesty, their commitment to every character, and their bravery to sink so selflessly into these relationships. What they were able to do with this sensational script, well frankly, there are just not enough words for how beautifully they performed it. Let’s just say that I am forever changed after seeing this show. A show this complex, this authentically open, needs a strong hand at the helm, guiding it towards excellence, and director Malika Oyetimein’s grip was firm and steady on this production. I came in to this a fan of Ms. Oyetimein’s, as I saw her directing project of Bus Stop at the University of Washington, and was spellbound by her direction of that show. As a proud alumni of the University of Washington’s acting program, to see the talent that is still coming out of my alma mater makes me so happy, because she is killing it out there! Her strong concepts and ability to pull performances from performers, as well as her ability to perfectly cast shows are quickly becoming her trademarks. I cannot wait to see her next project. She’s a director to watch! Bravo! Brilliantly costumed, stunningly lit, and perfectly staged, the design team was on point! They created a simplistic, yet accurate world for this amazing ensemble to play upon, and all elements came together perfectly! 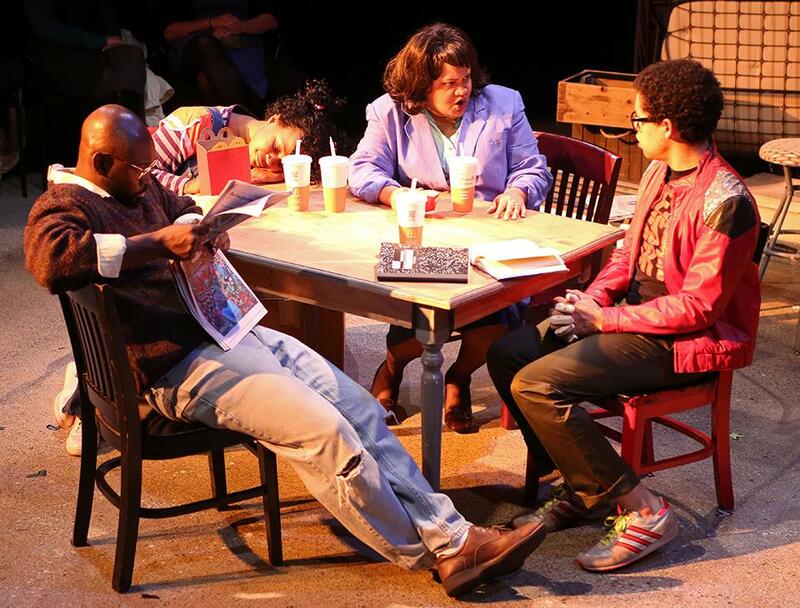 When it comes to good theatre, the Intiman was my go-to back in the day, and I have always had immense respect for this theatre, especially when they paused for a moment to take a breath and regroup in 2011. I must say, after the last two shows I’ve seen, clearly that was the right decision, because under the Producing Artistic Direction of Andrew Russell, all I can say is, The Intiman is back, y’all!!! His ability to bring artists together to create great art is a wonder to behold. And you really should go see this show to fully experience the sheer brilliance that is happening in a little black box theatre in the Seattle Center. can be found on the Intiman’s Website. Please go support this wonderful local theatre, because the art they are putting out is fantastic! 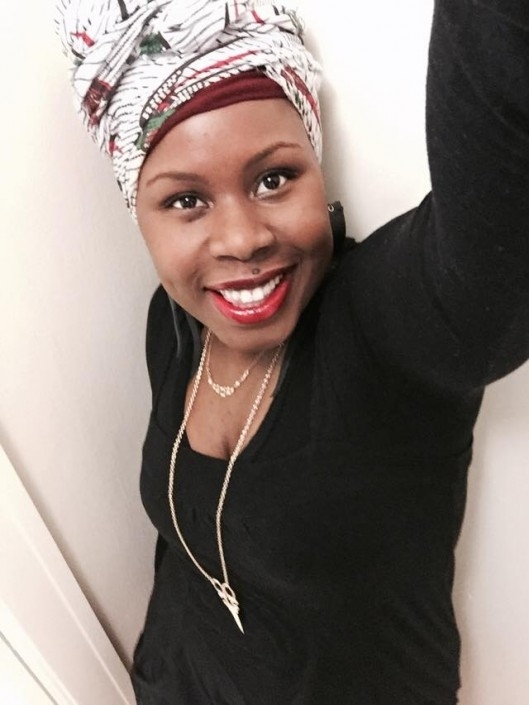 I give Bootycandy a resounding standing ovation and a Yassssss, honey! Bravo!!! Photos from the Intiman’s Facebook page and the University of Washington School of Drama website. In going to see Sweeney Todd at Renton Civic Theatre, I was already at a disadvantage because the only exposure I’d ever had to this show was the Johnny Depp movie that I neither enjoyed, nor finished. I knew the story well enough, had heard the hits from the show, but it is just not the type of musical I enjoy, and I think it’s because in order to really enjoy Sweeney, one must enjoy an operatic sound, and I do not. So, to review it is tough, because I now know it’s just not a show I enjoy, so I think I’ll focus on the elements of the show and look at it with a technical eye. Let’s start with the successes first. There is some serious talent in this cast, primarily the three main adult characters in the show. Let’s start with the title character, shall we? Sweeney Todd, played by the fantastic Brian Lange was absolutely stellar. Mr. Lange’s voice is perfect for this role, and his physicality and ability to create dark and vengeful moments made him the perfect Sweeney. Costumed to look very much like the Johnny Depp movie version, Mr. Lange’s tall, slim frame really added to the Demon Barber of Fleet Street’s edge. He was menacing and wounded at the same time, and was the absolute anchor of this show. His presence and ability to sink his teeth into this tortured soul made everyone in scenes with him better, and I was extremely impressed by his performance. And the yin to Sweeney Todd’s yang, is of course Mrs. Lovett, played by Rachel Wilkie. Cunning, manipulative, and quirky, Ms. Wilkie brought to life a delightful Mrs. Lovett. She had wonderful chemistry with Mr. Lange, and gave a vibrant zest for life which beautifully juxtaposed Mr. Lange’s constant melancholy. A little sprite of a thing, Ms. Wilkie flitted and floated around the stage with a Puck-esque mischief state at all times, and I really enjoyed her. Spot on cockney accent, on-point comedic timing, and a wonderful energy on stage, she was definitely the life of the show. Lastly, the third point to the main adult character triangle is Judge Turpin, played by the delicious Brian Pucheu. Judge Turpin is a despicable human being, one who made this reviewer’s face grimace with disgust on numerous occasions, because Mr. Pucheu pulls absolutely no punches. He doesn’t hold back, he commits fully to the many dimensions of this character, making every moment from fawning over Johanna to self deprecating flogging real and tactile, so much that you feel it all, even from the back row where I sat. (And honestly, even if you don’t like opera, you should check out this show just for the flogging scene because, good God is it breath taking!) Mr. Pucheu unapologetically travels through the Judge’s journey, and is so phenomenal at making him human, that I had moments of really liking the Judge and almost, not quite, but almost understanding and sympathizing with his side of things. Judge Turpin is the law in all the land, both inside and outside his home, so when that control starts to crumble around him, Mr. Pucheu’s ability to take us on that journey was sensational to watch. To constantly flirt with the line between judge and deviant so seamlessly, with so much humanity simply made my actor’s heart soar. This is one brave actor, and I am very much looking forward to seeing him on stage in the future. Bravo! Mirroring the trio of adults is a trio of young adult characters, and sadly these three weren’t as strong. The best performance of the three, in my opinion, was Tobias Ragg, played by Nick Hyett-Schnell. Mr. Hyett-Schnell’s Toby was adorably sweet and naive, with strong physicality and a lovely voice. Mr. Hyett-Shnell’s ‘Not While I’m Around’ was so perfect, it brought tears to my eyes it was so honest and touching. Mr. Hyett-Schnell’s performance only fell short for me in two areas, the first of which is that his cockney accent went in and out, and was jarringly noticeable. Secondly, there are few panic moments for Toby, and only one of them felt honest and true and big enough for the circumstances of the scenes. You’ll remember that Mr. Hyett-Schnell is a former acting student of mine, as I reviewed his directorial debut of The Addams Family back in July. So, I have higher expectations of this kid than everyone else up on that stage, and not only did he not disappoint, he made me so very proud. The other two children are the young lovers of Johanna and Anthony, played by Shelly Traverse and Matt Lang, and I didn’t care for the performances from either of these actors. While they were both vocally strong, and sang well, their acting was no where near the level of the rest of the cast around them. Ms. Traverse had a very strange smile on her face the entire first act that didn’t make any sense based on the lines she was delivering. The smile had no connection to the acting moments, as if her voice and her face were in two different moments, and it was really disappointing because it made it difficult to watch her. There’s a moment where the Judge tells her he’s going to marry her, and against Mr. Pucheu’s ridiculous ability to be authentic and terrifyingly creepy, Ms. Traverse’s Stepford wife smile as she realized what he was doing made no sense. Additionally, Mr. Lang, while a lovely tenor, moves awkwardly on stage, creating a kind of characature rather than a real person making it almost impossible to connect with Anthony. There’s a tension, and uncertainty to his movement around the stage, and he appears to be trying so hard to ‘play’ Anthony, that I never believed anything Anthony had to say in this show. Like Mr. Hyett-Schnell, Mr. Lang’s British accent goes in and out and doesn’t sound natural. There’s a duet with Anthony and Johanna, where his accent was absolutely non-existent, and the lack of chemistry between these two actors made the scene simply painful to watch. The adult leads in this show effortlessly created very real multi-dimensional characters having real moments throughout the show, and sadly for these two young actors, that contrast really shined a light on how one-dimensional and weak their acting performances were, making it tough to care about their journey to each other. The concept of the show by director, Vincent Orduña was a strong one. He definitely created a fun playground for his actors to run around on (and I do mean run around, these actors are up and down staircases constantly!). He had quite a challenging show to do in a small community theatre, as well as the challenge of how difficult this show is musically. There was a lot of just standing and singing, which I appreciate! Mr. Orduña understands the beauty of a still picture to just let actors be and sing, the most successful for of which was during Pretty Women, where Mr. Lange and Mr. Pucheu were in a tableau with Sweeney standing behind the Judge, who was seated in the Barber’s chair; a stunning moment, both visually and vocally. My only criticism was the varied use of British accents, cockney or otherwise, when they clearly weren’t working. Mr. Lange never used an accent as Sweeney, Mrs. Lovett’s accent was perfection, and so I wish all accents had been pulled from everyone except for those who could do it consistently and naturally. And speaking of vocally, I was extremely impressed by the vocals on the entire cast. Music Director, Aimee Hong did a fantastic job of utilizing the voices in her ensemble to make the sound of this highly complicated score full and strong. I especially enjoyed the opening Ballad of Sweeney Todd, as it set the tone for the rest of the show. The pacing was quite good, especially given a show this long and complicated. As I said, that operatic sound doesn’t resonate with me as something I enjoy, but I can very much respect the caliber of the vocal performances of this show, led by Ms. Hong. Well done. Design elements were also strong! While the set design was a bit clunky, it was built beautifully, the star of which was the barber’s chair! OH! This piece of brilliance was clearly constructed for this show and this set, and I give a huge congratulations to Scott Shaver for creating this masterpiece! Bravo! Loved it! Mr. Lange had to have just been thrilled to use it! The costumes were fantastic as well. The show had the feel of Tim Burton’s film with both costumes and make-up, but I’m not mad about it, because it worked! My one confusion was at the end, the wig Toby suddenly has on didn’t make sense to me. I understood it in the beginning of the show, but it made no sense at the end. My favorite costumes, however, were Mrs. Lovett’s, especially her opening number skirt that looked like a crocheted blanked my grandmother had when I was little. Bustled beautifully, full of rusty colors of oranges and golds, it just popped against the dreary grey of Mr. Todd. The entire cast was costumed and made up exactly as folks in 19th Century London would look. Some of the best costuming I’ve seen in a while, so I give congratulations to Courtney Kessler for her vision. Overall, Sweeney Todd is a good show, and it’s heads and shoulders above anything else I’ve seen at Renton Civic Theatre, well, ever. They should be very grateful that Mr. Orduña upped the level of production for their space, because it truly was a 180 from The Boy Friend, and I chalk that up to a better vision and direction, as well as an understanding of utilizing performers strengths so that every actor up on that stage was set up for success. I was worried about coming back to RCT after the Boy Friend experience, but given how well this production was done, I will definitely be back, especially when Mr. Orduña is at the helm. If you’re a fan of Sweeney Todd, like operatic-style musical theatre, or just appreciate strong vocals, you should definitely see this show. It’s very well done from start to finish. You know it has to be a quality of show for me to recommend seeing it even though I don’t like the style. Sweeney Todd runs at Renton Civic Theatre through October 3rd, and ticket and show time information can be found on RCT’s website. I give this an appreciative applause for a job well done. It’s a complete understatement to say that I’ve been eagerly awaiting the opening of Whim W’Him’s 2015 Choreographic Shindig after experiencing the magic of watching the company rehearse for this production. I’ve been shivering with anticipation to have a new experience, the likes of which only Whim W’him can provide. It was like being invited to a dinner party at an good friend’s house who is a phenomenal chef in their own right. You’ve dined with them numerous times before, and are always excited to be extended an invitation, because you know the meal will be exquisite. Yet, this time, your friend and host lets you know they’ve hired three new chefs who have prepared a feast you’ll not soon forget, igniting excitement and curiosity at a totally new experience in a familiar setting. Only, the host is Artistic Director, Olivier Wevers, and the three new chefs are a trio of choreographers chosen by the company to come create a feast of originality and ingenuity just for you, and it will entice and arouse your senses in the most delicious way! The appetizer, if you will, is presented by Joshua L. Peugh. You’ll remember I got a taste of Mr. Peugh’s brilliance when I was invited to watch one of his rehearsals. It was at that rehearsal where Mr. Peugh landed on the name of his piece: Short Acts on the Heartstrings, and my heartstrings couldn’t agree more! Seeing this piece in its final form, complete with costumes and lighting took my breath away. White tuxedos and Cotton Candy Green flowing dresses twirled and whirled around the stage, creating light and happiness straight into the audience! It’s akin to sampling various amuse-bouche where sweetness and freshness brings delight and joy, followed by a hint of heat which sneaks up on you, and the slow, delectable burn of spices tickles your senses, opening up your palate for the flavors yet to come. That’s how Heartstrings affected me. Light and funny one moment, deep and connected the next, with pops of unexpected heat that had me craving more! Of all the fantastic phrases throughout this piece, there are two duets that simply stole my breath. One was with Kyle Johnson and Tori Peil, and the other was with Kyle Johnson and Justin Reiter. The beauty of these couples performing the movement created by Mr. Peugh was stunning to behold. I laughed. I sighed (the kind of sighs you give when you watch a happy ending to a fabulous RomCom). I enjoyed every minute of being transported back to the, as I described before, a Mad Men meets Pulp Fiction dinner party hosted by Rosemary Clooney. Pulled on the heartstrings for sure, and set the unbelievably beautiful tone for the evening. The second course, if you’ll continue to indulge the metaphor, was a rich and meaty creation by Maurya Kerr titled into the wide welcome. Although, I found myself adding “or not” onto the end of the title, because this piece took the Whim W’him company through a formidable physical expression of emotion that was less than welcoming. 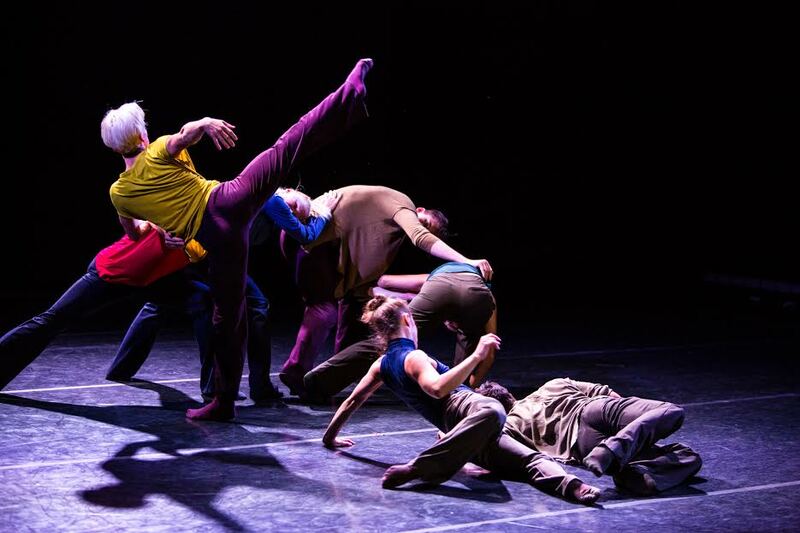 None of the six dancers in this piece were spared a heightened emotional journey that, to me, showed the constant human need for contact, often with someone who is unhealthy for you. The design elements added to the impassioned voice of Ms. Kerr as she weaved and threaded the dancers around each other. All dancers dressed in shades of grey, the lights a harsh grey-white, and I’m not sure if it was part of the choreography, but when the air conditioner kicked on right as the pace of the piece accelerated and the music piped in, I swear, I was transported right into the middle of someone’s icy cold heart. And I loved it! Again, Mr. Johnson and Ms. Peil had my favorite sections of this piece, my heart aching for them as they struggled with their want for each other, yet never finding comfort in the contact for long! With every frantic separation, my heart broke for them, and tears rolled down my cheeks. The final section, all six dancers moving as one, creating a new pulse in the room. Like a human chest compression, slowly and methodically easing life back into the room. Creating heat and breath, where there was none before. It’s one hell of a journey, and I hope all of you will give yourself the gift of experiencing it. moved from one divine phrase to the next as if they were made of water. The company was audibly breathing as one unit, and I found my own breath catching with every new titillating movement. Mr. Rustem’s use of the entire space was fiercely brilliant, with a deliciously devilish surprise half way through that I won’t say any more about, because you MUST experience it for yourself! Let’s just say it’s the cherry on top of a decadent experience you don’t want to miss. From start to finish I was on the edge of my seat watching this piece, savoring every morsel Mr. Rustem provided. When it was over, I was both satiated and satisfied, and I highly suggest you go get a taste for yourself! I also want to take a moment to applaud the lighting designer for the Shindig, Mr. Michael Mazzola. Mr. Mazzola’s designs for these three unique and powerful pieces were absolute perfection! The warm, angelic glow for Mr. Peugh, the cold frigid wash for Ms. Kerr, and the seductive vibrancy for Mr. Rustem were all at a level of mastery that matched the vision of each piece brilliantly. Bravo! My hat is off to the ingenuity of Mr. Wevers and the unbelievably open way he runs his company. Encouraging and championing his company members to grow as true artists, and allowing them the opportunity to choose the choreographers for this Shindig is truly inspired. 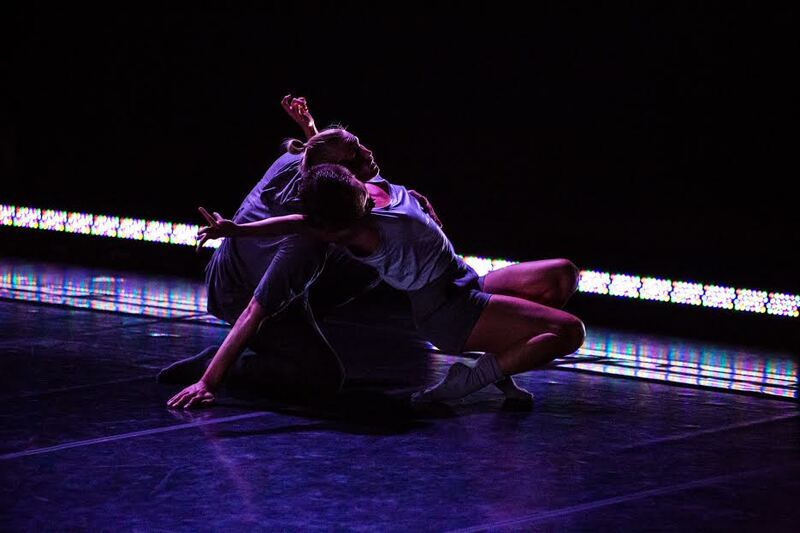 Mr. Wevers said in the Q&A after the show that his goal for Whim W’him was to create a company where artists can flourish and grow, and I’d say the 2015 Choreographic Shindig proves that his goal has been beautifully and exquisitely achieved. With selfless vision like that, Whim W’him has a very bright future ahead. With every new experience, my respect for this dance company grows. I’m definitely a Whimmer now, and a very proud season subscriber. 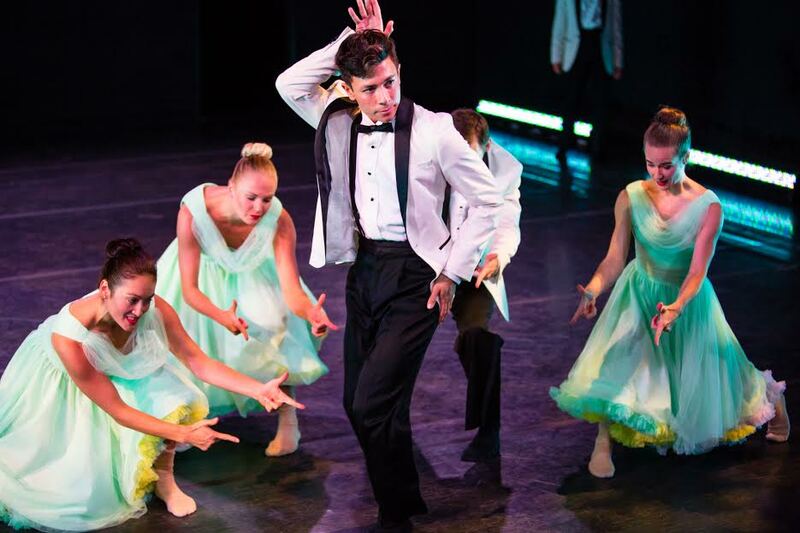 My hat is off to the entire company, the choreographers, and the designers of the 2015 Choreographic Shindig. It was a resounding success, and I am definitely the better for having experienced it. This gets a resounding Bravo, and a standing ovation! Congratulations! 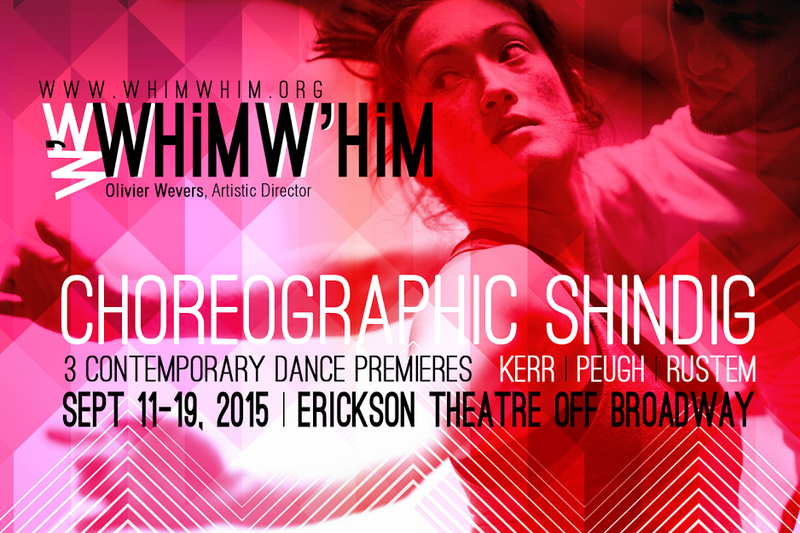 Whim W’him’s Choreographic Shindig is a Must See! There are rare moments in life that move you. For me, it usually comes in the form of watching artists creating their art. Seeing a profound performance in a play, or hearing a tenor sing a Sondheim song perfectly, or watching a dancer move through epic choreography. And it’s that last one that moved me today when I had the pleasure and the privilege to watch a rehearsal at my favorite Seattle based dance company: Whim W’him. Artistic Director, Olivier Wevers, and Executive Director, Catherine Bombico were kind enough to invite me in to watch as the dancers prepare for their upcoming performance at WWDC’s Choreographic Shindig, opening in a few short weeks. Last year the Whim W’him company of dancers issued an international call to emerging choreographic talent to come and create with them. Of the 95 entries, three ridiculously talented artists were selected: Joshua Peugh, Maurya Kerr, and Ihsan Rustem. And today, I got to watch Mr. Peugh rehearse his creation with the full company, and it was an inspirational, emotionally charged experience for me. Not to give much away, as you must come experience this for yourself to truly understand what no amount of words could convey, but to tantalize your taste buds, I’ll describe what Mr. Peugh has created as a remarkable piece that makes one feel as though they are attending a Mad Men meets Pulp Fiction themed dinner party hosted by Rosemary Clooney who croons us all in to each course, one more delectable and delicious than the one before! Sound bizarre? It’s not! It’s beautiful! I want to gush more about this, but I’ll hold off until my review after the performance, because you know, spoiler alerts and all. I will just say, watching these artists work on their craft, perfecting their art, pulled on the heartstrings and filled this dance-lover’s soul with complete joy! I’m so excited to see all three of the amazing numbers I know are waiting for me at this shindig! I, myself, will be attending the Saturday, September 12th performance, and I really think each and every one of you should join me! To the entire company and all three choreographers, I give a resounding and enthusiastic Merde! Please come out and support these amazing artists we are lucky enough to have in our great city. Tickets can be purchased on Brownpaper Tickets here: http://www.brownpapertickets.com/event/1728649.